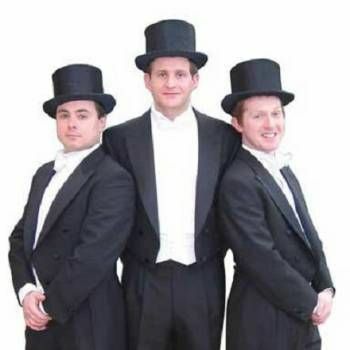 Disguised as waiters (“Magic on the Menu”) or dressed in formal evening tails (“A Touch of Class”) The Three Magicians perform first class sleight of hand, their complimentary styles of magic and humour ensure that your guests will be royally entertained. If you’d like to surprise and create an impression on your clients, staff or friends for your next dinner "Magic on the Menu" provides a whole new twist to the standard format of table-hopping magic... There's no card tricks, no magical introduction, & it is not a wacky waiter show: just good, polished, proven entertainment that will keep your guests talking about your event for a long time to come. Performing as genuine waiters from the moment guests arrive, The Three Magicians bemuse diners with plausible, but particularly eccentric service. Their unusual personalities slowly develop and the introduction of some impromptu magic takes guests by surprise. Their spoon-bending, bottle-producing, pickpocketing antics comically escalate between courses, and it slowly dawns on guests that they have been a part of an entertaining undercover magical scam. The Three Magicians' cover is finally fully blown as they combine to present their finale, with participation, laughter, and maybe even the MD as a guest star. 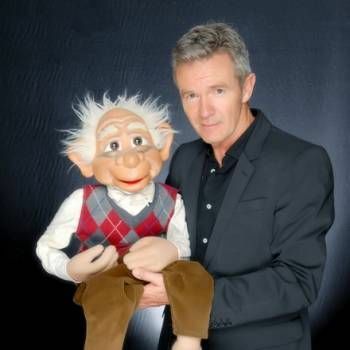 Between them, The Three Magicians have performed at thousands of events for business, throughout the UK and abroad. The have entertained celebrities, appeared on TV, and won prizes for magic: you can be assured the entertainment of your guests is in good hands.